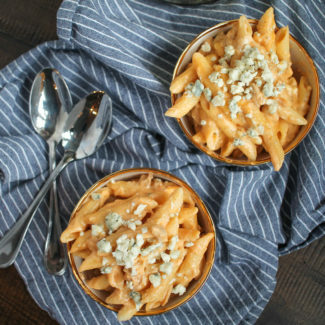 Learn 3 Easy Mac & Cheese Recipes that start with using store-bought macaroni and cheese! Football fans know that the big game is just around the corner. 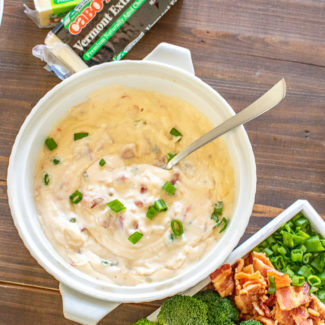 Today, I am teaming up with The Safe + Fair Food Company to share three super easy and scalable recipes perfect for your game day celebrations (or for any comforting lunch or dinner). 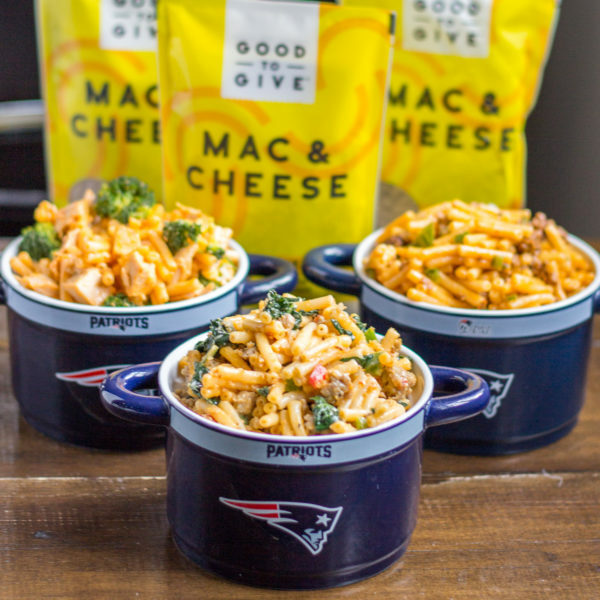 Chorizo and Jalapeño Mac & Cheese, Buffalo Chicken and Broccoli Mac & Cheese, and Italian Sausage, Kale, and Peppers Mac & Cheese are quick meals that your friends and family will love. Pick one and make a big batch, or make all three. These fun variations on classic macaroni and cheese are a great meal to serve on game night or for any night in! 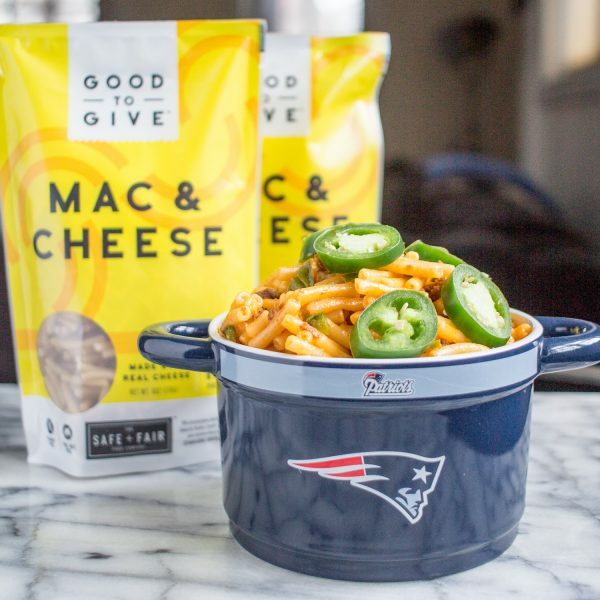 SAFE + FAIR Mac & Cheese is made with real cheddar cheese, and I think it has a more authentically cheesy taste than other brands. What I love most about SAFE + FAIR is that they’re committed to producing clean label and wholesome products, that don’t sacrifice taste. 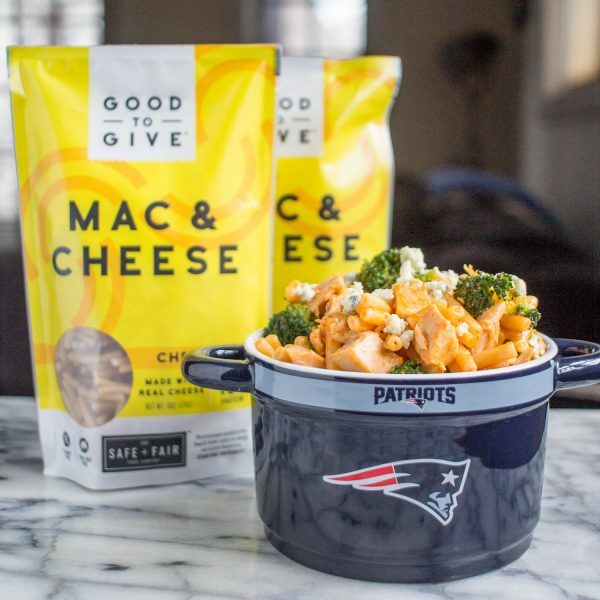 The Good to Give Cheddar Mac & Cheese is part of their launch line of products, which are peanut and tree nut-free, and made without preservatives, artificial colors and artificial flavors. The pasta is non-GMO and packs 10g of protein, too! If you’re looking for additional food-allergy-friendly foods, be sure to follow them as they unveil a new batch of delicious free-from products in the coming months. 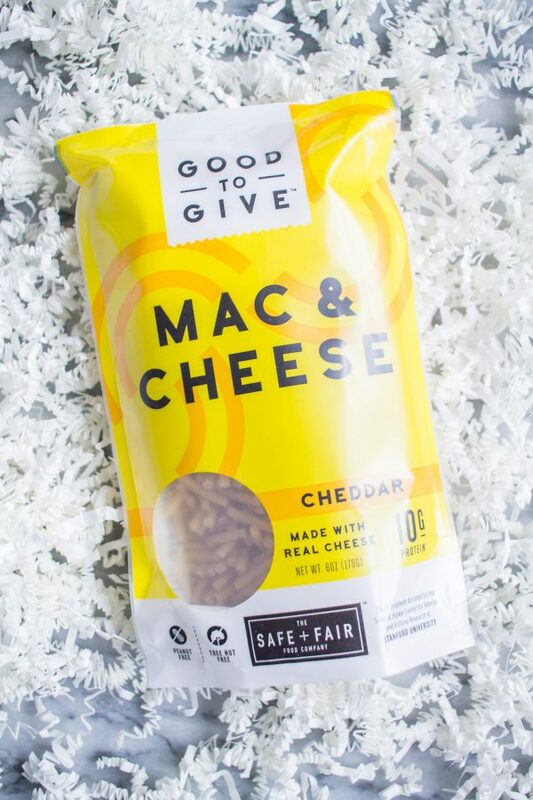 I should also let you know that SAFE + FAIR’s Good to Give Cheddar Mac & Cheese – along with their other products – is sold online. 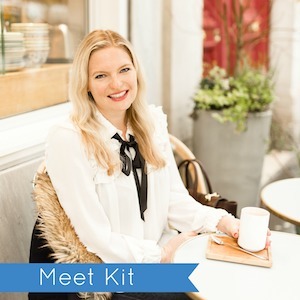 I am very excited to share the promo code THEKITTCHEN30, so you can get 30% off your order at www.safeandfair.com! SAFE + FAIR’s products are already affordably priced, so this deal makes them incredibly affordable. I recommend stocking up! The brand also makes nut-free and non-GMO vanilla cake mix, chocolate chip cookies, and cinnamon grahams, too! Plus, SAFE + FAIR donates 3% of their proceeds to the Sean N. Parker Center for Allergy and Asthma Research at Stanford University to help support science, research and care for those with food allergies. 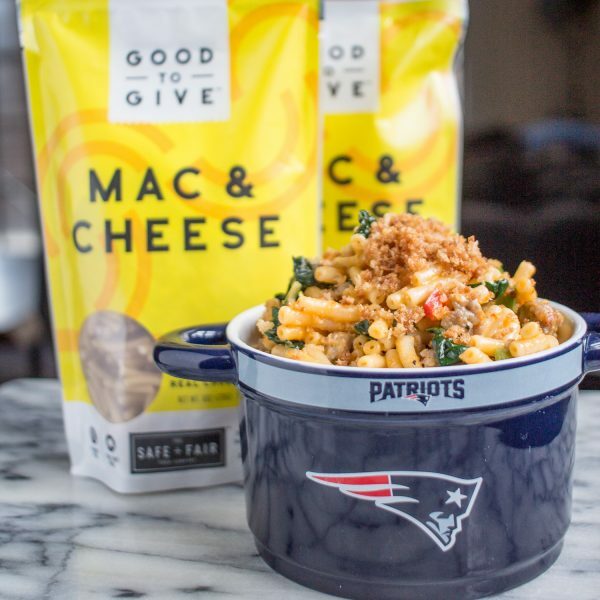 Each of my three recipes start with preparing the SAFE + FAIR Mac & Cheese according to the directions on the bag, and then you just stir in the additional ingredients. Once you put the water on to boil, prepare the additional ingredients and they will be ready by the time the pasta has cooked. Easy peasy! 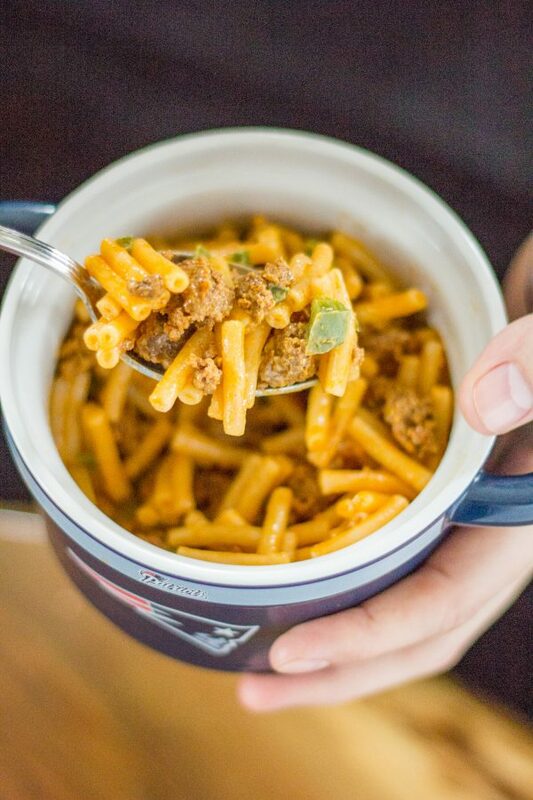 The Chorizo and Jalapeño Mac & Cheese has a bold, meaty flavor with a burst of heat from the jalapeños. The creamy macaroni and cheese balances out the spice level perfectly. 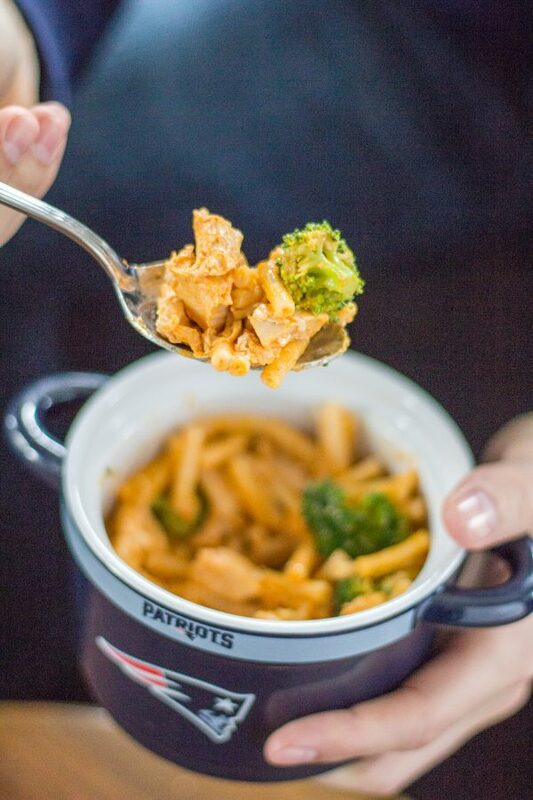 For the Buffalo Chicken and Broccoli Mac & Cheese, I started with about 1 ½ cups diced rotisserie chicken that I coated in buffalo sauce. I chopped up ½ cup of broccoli and quickly cooked it in the microwave. 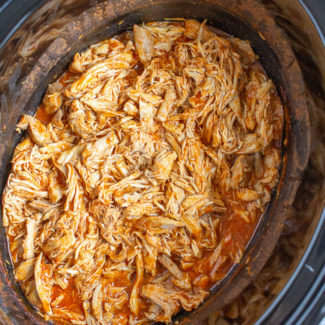 The buffalo chicken adds a kick of spice and you can adjust the heat level based on your personal preferences. Charles is obsessed with the Italian Sausage, Kale, and Peppers Mac & Cheese. He usually isn’t a big fan of kale, but it added a nice texture to this meal, and its flavor wasn’t too prominent. The chunks of sausage and peppers transformed the Mac & Cheese into a sophisticated dish. 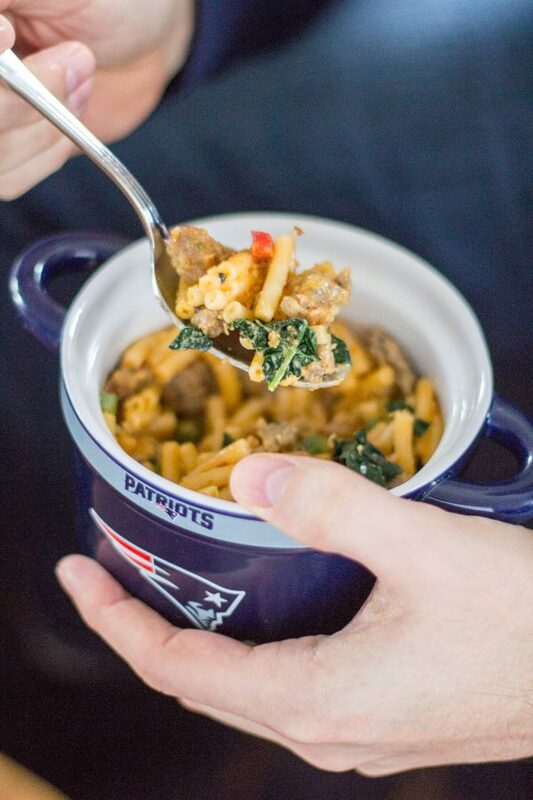 You can add a crispy panko topping to any macaroni and cheese – I added it to the Italian Sausage, Kale, and Peppers Mac & Cheese. Just melt a tablespoon of butter in a small skillet and stir in 3 tablespoons of crispy panko breadcrumbs. Stir frequently for about 3 minutes until the breadcrumbs become golden brown. This is an easy hack that gives the Mac & Cheese an oven baked taste. Put a medium saucepan filled with 6 cups of water on the stove to boil. Once the water boils, add the pasta. Next, heat a small skillet over medium heat. Add the ground chorizo and use a wooden spoon to break it into small pieces. Chop the jalapeños (remove the seeds if you don’t want it to be too spicy) and add them in with the chorizo. Cook the chorizo until it has browned. 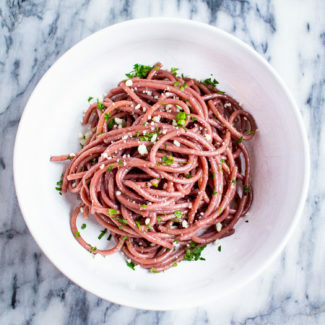 Once the pasta is al dente, drain it. Use the same saucepan, heat it over medium heat, and add 2 tablespoons of butter and 3 tablespoons of milk. Once the butter melts, stir in the cheese. 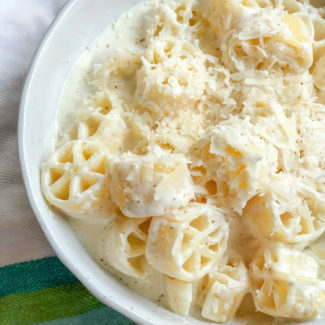 Return the pasta to the pot, and stir it into the cheese sauce. Then use a slotted spoon to add the chorizo and jalapeños to the Mac & Cheese. Add some toasted panko breadcrumbs on top if you like. Fill a medium saucepan with 6 cups of water and put it on the stove to boil. Add the pasta once the water comes to a boil. 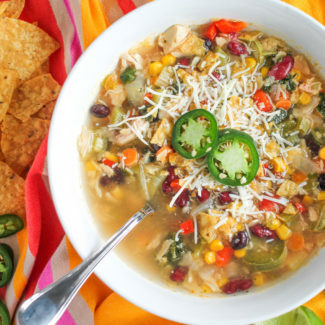 Meanwhile, place the diced chicken in a bowl and soak it with 2 tablespoons of buffalo sauce. 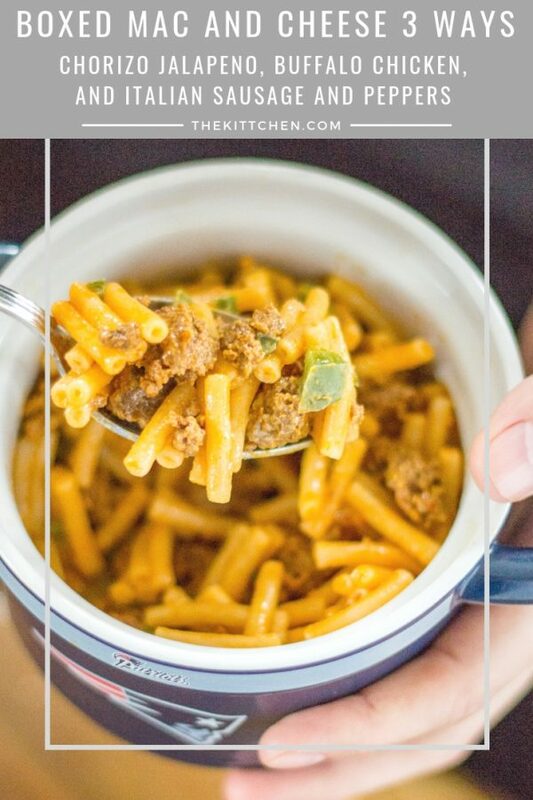 You can add more sauce if you want your Mac & Cheese to be extra spicy. Then, place the broccoli in another bowl and add 2 tablespoons of water. Toss the broccoli in the water to get it wet. Microwave the broccoli for about 1 minute, until it is bright green and soft. Drain any excess water. When the pasta has reached al dente, drain it. Use the same saucepan to prepare the cheese sauce. Combine 2 tablespoons of butter with 3 tablespoons of milk. Once the butter melts stir in the cheese. 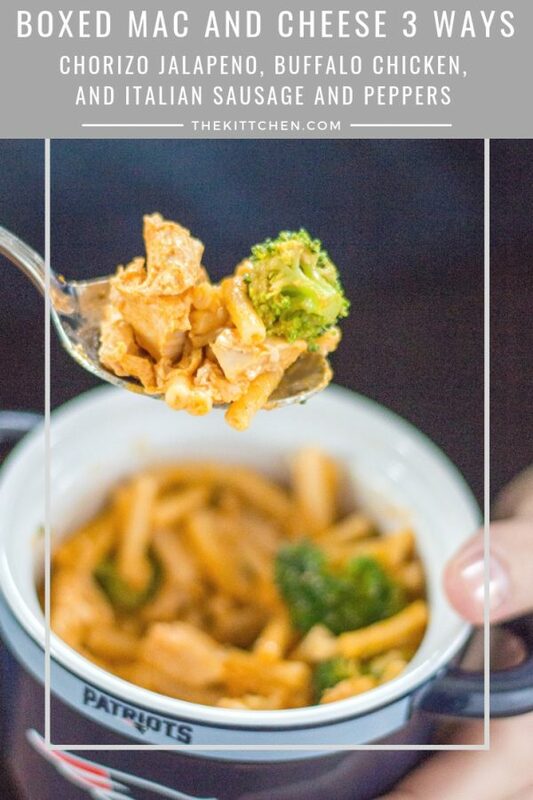 Add the pasta, chicken, and broccoli. Stir to combine. Top with some blue cheese crumbles if you like. Start by putting a medium saucepan filled with 6 cups of water on the stove to boil. Once the water boils add the pasta. While the pasta is cooking, cook the sausage. Heat a small skillet over medium heat and add the sausage, removing it from the casings. Use a wooden spoon to break the sausage up into small pieces. Let cook for 3 minutes, then stir in the bell pepper. Cook for another 2 minutes before adding the kale. Cook for another minute, or until the sausage is fully cooked. Drain the pasta. Use the same saucepan to prepare the cheese sauce. Add 2 tablespoons of butter and 3 tablespoons of milk to the saucepan, and once the butter has melted add the cheese. Stir to combine. Return the pasta to the saucepan with the cheese sauce, and add in the sausage, peppers, and kale. Stir to combine. Serve with the panko topping if you like. Melt the butter in a small skillet over medium heat. Once the butter has melted, add the breadcrumbs. Stir frequently for about 3 minutes until the breadcrumbs are golden brown. This post was sponsored by SAFE + FAIR, the opinions expressed are my own. Thank you for supporting the brands that make The Kittchen possible!